Previously, Luxedb.com featured the 5 best places to dine when in Thiruvananthapuram, and that list included top establishments like the Villa Maya, Hilton Garden Inn, and Nirvana Lounge. Luxedb also wrote a feature on the very best that Las Vegas has to offer, with a particular emphasis on the city’s many attractions, including luxury hotels such as the MGM Grand and Caesars Palace Hotel, and luxury attractions like the Cirque du Soleil productions. This Michelin 3-Star restaurant by renowned French chef Joël Robuchon offers arguably the best fine dining meal in the city. Located in the historic MGM Grand, the eponymously named restaurant is Robuchon’s flagship establishment, which says a lot given the fact that the man once dubbed the “Chef of the Century” owns restaurants in Paris, Hong Kong, and Dubai. Robuchon, in the estimation of many, is the greatest living chef on the planet, and his 32 Michelin stars—the most among active chefs today — is undeniable proof of that. No wonder then that this gem of a restaurant is considered one of the best in the world. Like Robuchon, Pierre Gagnaire is one of the finest chefs in the world, and Twist is a must-visit restaurant for that simple reason alone. 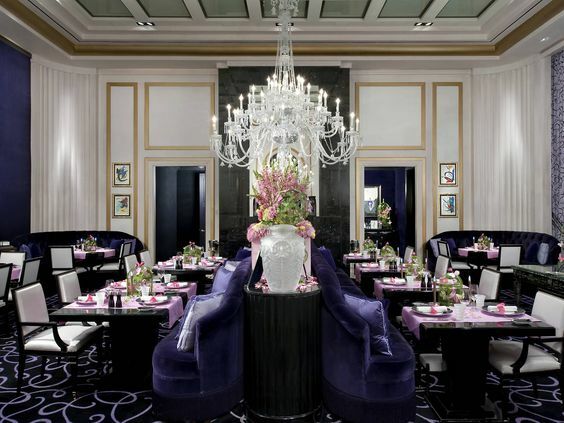 Located in the Mandarin Oriental, this fine dining jewel offers classic French cuisine infused with a distinct modern vibe. 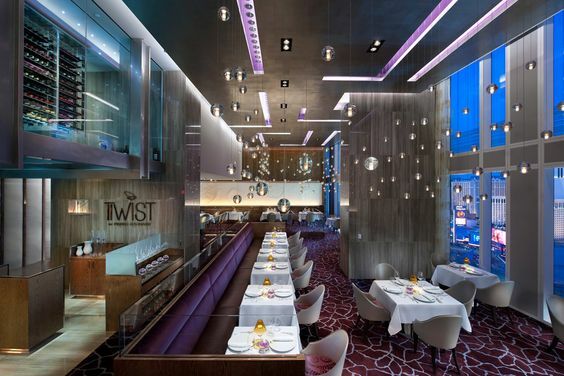 Aside from culinary perfection, Twist also offers an ambiance befitting royalty, with the restaurant featuring floor-to-ceiling windows, a dramatic glass staircase, and 300 gold globes that dazzle with the lighting. The menu varies depending on the season, although the finest cuts of beef are available year-round. This Pablo Picasso-inspired restaurant offers the very best of French and Spanish cuisine — mainly because Picasso spent much of his life in France and Spain— courtesy of Executive Chef Julian Serrano. Chef Serrano’s best dishes include roasted Maine lobster, tuna tartare, warm quail salad with artichokes and pine nuts, and medallions of deer with caramelized green apple and zinfandel sauce. You should also indulge in some fine wine, as Picasso boasts a wine cellar stocked with more than 1,500 selections. 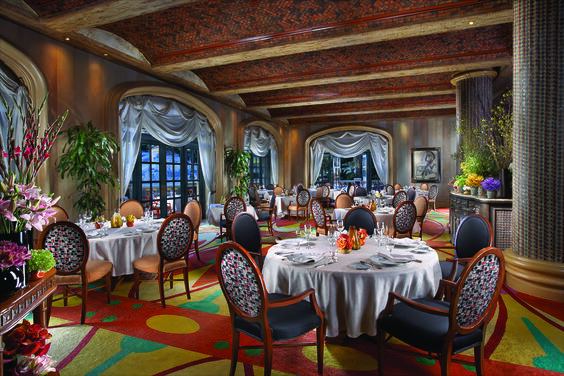 Of course, the dining room is adorned with Picasso’s artworks, and it even offers a view of the Bellagio’s fantastic fountains. 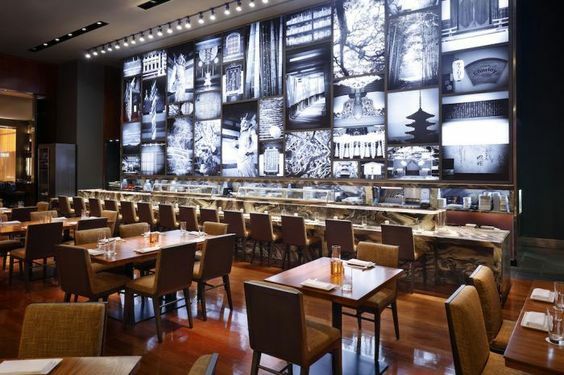 Just last year, Iron Chef Masaharu Morimoto opened Morimoto Las Vegas at the MGM In October, and it has steadily earned a reputation for being one of Sin City’s best. Here, Chef Morimoto showcases his patented hybrid Japanese cooking style, with such offerings as tuna pizza with anchovy aioli and yellowtail pastrami. Morimoto Las Vegas also boasts of that ever famous Morimoto stained glass rolls of sushi as well as Chef Morimoto’s first ever Teppan tables, where the restaurant’s chefs griddle-cook various ingredients, like premium quality Japanese Wagyu. 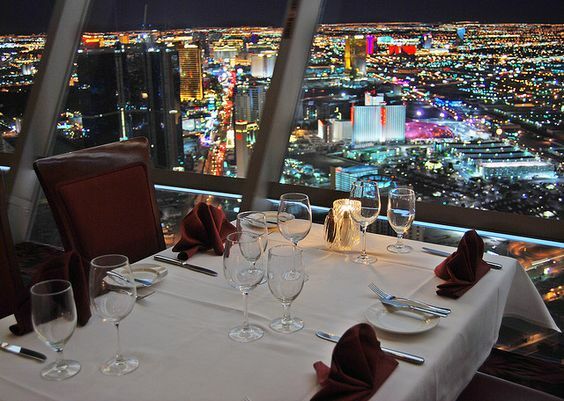 For a truly unique dining experience, the Top of the World Restaurant at the famed Stratosphere is the spot for you. Here, you will get to enjoy some fabulously tasty treats while you’re 800 feet above ground, in a luxurious room that rotates 360 degrees every 80 minutes. The views, unsurprisingly, are spectacular, more so at night, while the food, of course, is world class thanks to renowned chefs Rick Giffen and Matt Thompson. Moreover, the menu is internationally inspired, and the ingredients are all fresh and natural. Top of the World Restaurant also boasts of an award-winning wine list as well as indulgent, handcrafted cocktails. Sin City, of course, is home to an endless variety of luxury restaurants, and it seems unfair to list only 5 of them. But then again, Luxedb wants to present only the very best, and Joël Robuchon, Twist by Pierre Gagnaire, Picasso, Morimoto Las Vegas, and Top of the World Restaurant are arguably the best in Vegas right now.